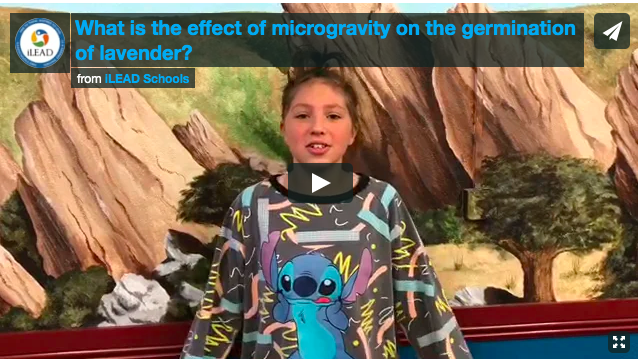 During the final phase of the DreamUp to Space Mission 2018-2019 Experiment Design Challenge, our teams created short videos “pitching” their idea, and are creating plans for how — if their experiment is chosen to fly to the International Space Station — they will use the opportunity for their school site. These learners may seek experts to support all aspects of this challenge. Their proposals and videos will be reviewed by a panel of science and space experts, and the top 3 teams will have their experiments flown and conducted on ISS this fall. Three final teams will be chosen to send their experiment to be conducted on the ISS. The teams simultaneously conducts a ground-based experiment for data comparison in post flight analysis. The selected iLEAD teams, accompanied by their facilitators, will be invited to attend the launch where they will have the opportunity to present their experiments at Kennedy Space Center.